When it comes to birding in Southeast Michigan, some unique species either nest in or migrate through the Metro-Detroit area (or thereabouts), including Birds of Prey by ​Lake Erie, Lake St. Clair and the Detroit River. 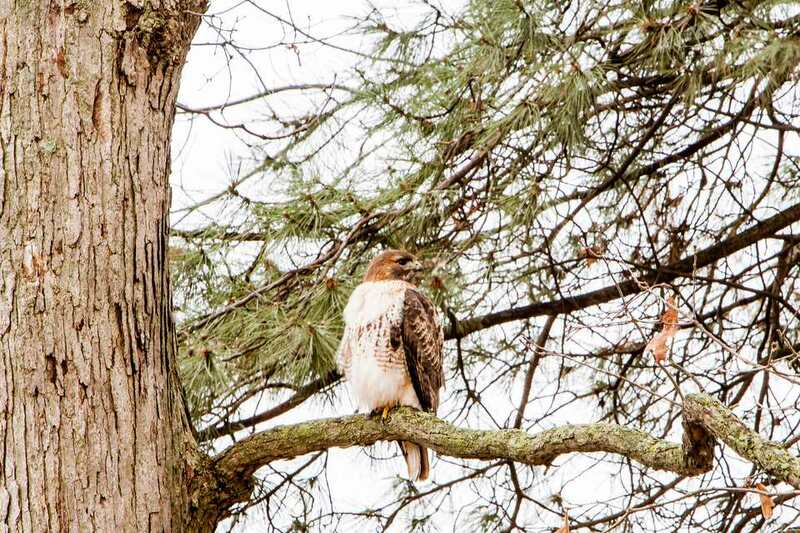 First and foremost, Southeast Michigan boasts perhaps the best location for hawk watching in North America. This is primarily because raptors or birds of prey migrate south along the Detroit River corridor that connects Lake St. Clair and Lake Erie, where they can soar on the columns of warm air that rises over the sun-warmed land. In fact, the Detroit River area is recognized globally as an Important Bird Area (IBA). From September to October, birders can not only spot several species of hawks, but Peregrine Falcons, Golden Eagles, and Turkey Vultures as they glide on the thermals. The best times to watch for hawks is just after a cold front has passed, leaving clear skies and decreased humidity. One of the best locations for hawk watching in Southeast Michigan is Lake Erie Metropark in Brownstown. It is located downriver of Detroit and south of Trenton. The park includes shoreline along both the Detroit River and Lake Erie, including coastal wetlands. Sixteen species of hawks have been spotted in the park, including Broad-Winged Hawks. The park also hosts Hawkfest in September. According to the Bird Checklist for Lake Erie Metropark and Pointe Mouillee State Game Area, Ospreys, Mississippi Kites, White-Tailed Eagles, Northern Harriers, Sharp-Shinned Hawks, Northern Goshawks, Red-Shouldered Hawks, Broad-Winged Hawk, Swainson's Hawks, Rough-Legged Hawks, and Golden Eagles have been seen the parks. In fact, Bald Eagles, Cooper's Hawks, and Red-Tailed Hawks are known breeders in the area. Detroit / Grosse Ile: The Eastern Shore of Grosse Ile overlooks the Detroit River, where migrating hawks can sometimes be seen. Milford-Brighton / Kensington Metropark: The park has an Osprey Hacking Tower. Osprey chicks were released between 1998 and 2002 in an attempt to increase the population. Monroe / Sterling State Park: The park contains shoreline along Lake Erie, which makes hawk spotting possible. New Boston / Oakwoods Metropark: Raptors have been seen in the open-field areas of the park, as well as Bald Eagles and Ospreys along the backwaters of the Huron River. “Hawkeye,” a Red-Tailed Hawk, resides at the Nature Center. Trenton / Detroit River International Wildlife Refuge & Humbug Marsh: Twenty-three species of raptors have been spotted in the refuge. West Bloomfield / West Bloomfield Woods Nature Preserve: Red-Tailed Hawks and Ospreys (fishing hawks) have been spotted. According to the Detroit River Hawk Watch, different species of raptors or birds of prey migrate through the area at different times in the fall. September often brings Broad-Winged, Swainson's, Sharp-Shinned Hawks, as well as Osprey, Bald Eagles, and American Kestrels. October often brings Cooper's, Red-Shouldered and Red-Tailed Hawks, as well as Peregrine Falcons and kettles of Turkey Vultures. November often brings Nothern GoShawks and Rough-Legged Hawks from Northern Canada, as well as Golden Eagles.